I have been craving ribs for a while now and when I found out I was coming to Sydney for the week, I made sure I got my brother to make a reservation at Hurricanes! 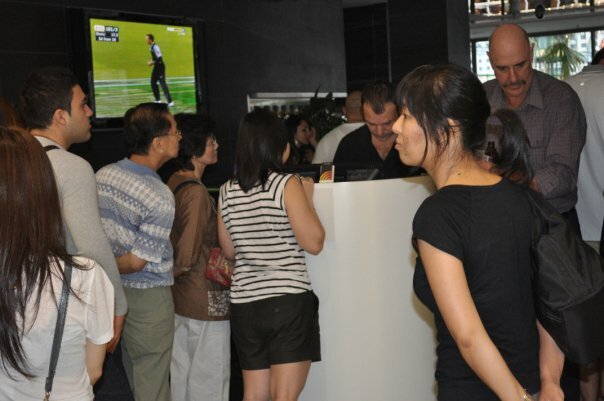 They first opened in Bondi Beach and believe me, without a booking, you would expect to wait for a good 45 – 60 mins! I have waited at most 30 mins and have then made a reservation every time prior to coming here. This place is unbelievably busy!! I do admit that they serve the best ribs I have ever tasted, and possibly the best around Sydney! 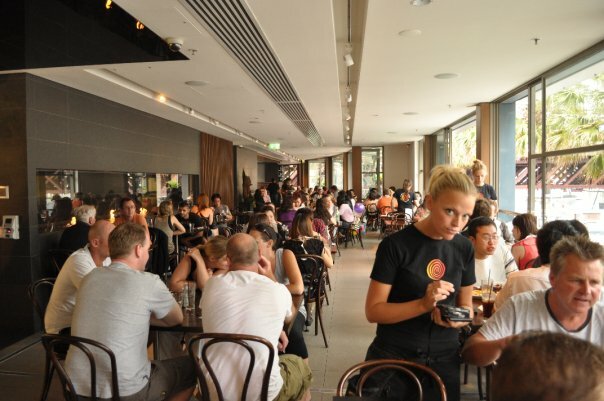 The bondi restaurant was so busy that they opened one in Darling Harbour – where we went too and all I can say is I am glad my brother made a booking! My last dinner with the family was at Hurricanes, and it was so rightly fitting that my first dinner back would be at Hurricanes also! We didn’t even need to peruse the menu – we all knew why we came here and what we wanted! We have come here so often that we really don’t need to be given the menu anymore! So we ordered two full racks of ribs (between 4 ppl) with chips and a char grilled chicken salad. 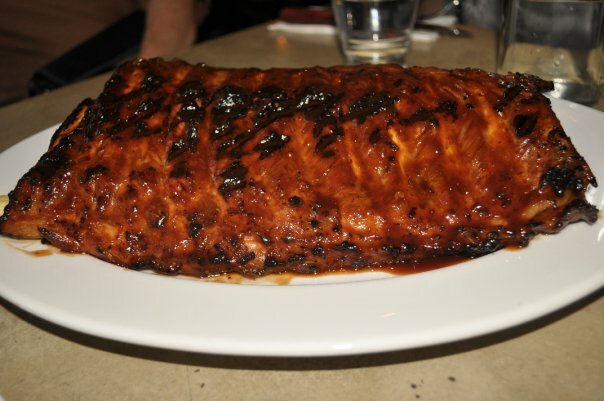 Our two full racks of pork ribs came shortly after we ordered and when the ribs arrived, I knew I was in meat-heaven! It smelt absolutely divine! Bibs are provided if you think you will make a mess of yourself but I am an ‘experienced’ ribs eater so didn’t require the bibs! The ribs were meaty, tender and juicy and the sauce was just infused in the meat! It was just heavenly! It truly did satisfy my ribs cravings! I have yet to find a place as good as this in Hong Kong!! 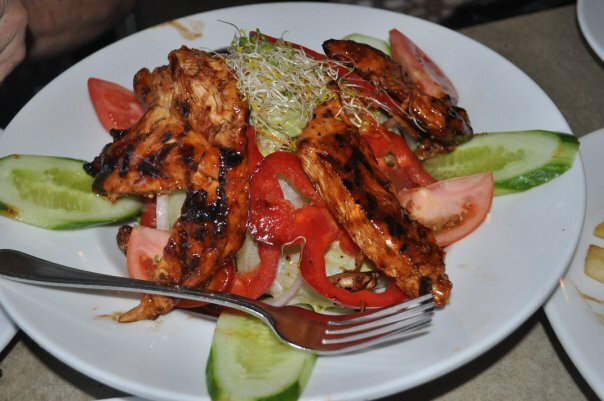 The Char Grilled Chicken Salad consisted of chicken breast basted and char grilled, served upon a mixed salad with honey soaked walnuts. The chicken was marinated in the same sauce as the ribs and it was tender… the honey soaked walnuts were sweet and crunchy and a great compliment to the salad. I saw my dad and brother digging through the salad just to find these honey soaked walnuts! Unfortunately they didn’t put enough of the walnuts – we were all fighting for the last walnut! The Darling Harbour restaurant has a view of the water and the city – its probably a better location in terms of view to the one at Bondi Beach. However, Bondi is definitely more convenient if you want to grab dinner after a nice day at the beach! 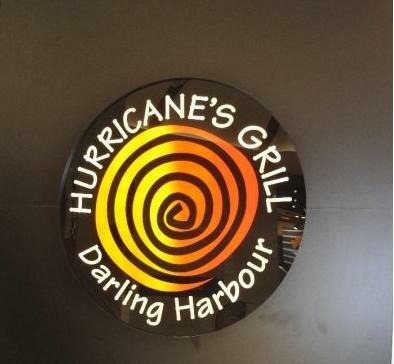 Regardless – a must go to place if you are in Sydney or if you like ribs and meat! They do serve good steak and hamburgers. They also serve seafood for those who are not carnivores and salads for the vegetarians. Best ribs in Sydney??? An easy call to make!!! Love it! The blonde chic wasn’t impressed with you taking a photo of her……. It’s the one place I look forward to visiting when I’m in Sydney!! Typically a sombre affair as tradition has it, it’s where we go for my “last supper” before heading back to London. thats the same with us 🙂 the ‘last supper’ – its so good though… love it!